We were asked to install a new surround sounds system for a client in Bantry Bay. He has a small holiday apartment, but had recently been struggling with controlling the equipment which is installed in the adjacent room. Besides the surround sound installation, we had the perfect solution for his control issues. As we were taking this installation over from another company, this is what we were greeted with to start with. Not too bad, but there were redundant cables that we could remove and replace with new better performing cabling. 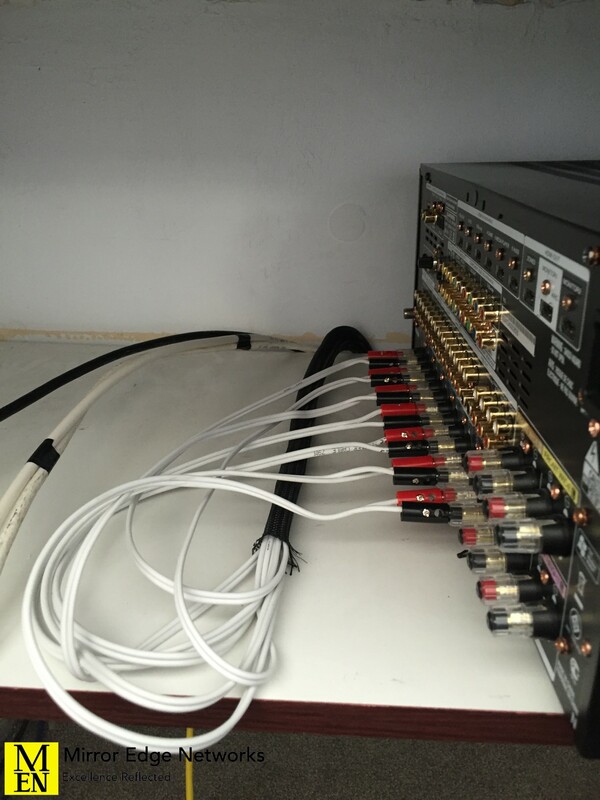 We started with installing the new speaker cabling to the 5 surround sound speakers and a new signal cable to the location that the subwoofer would be installed. As there is only 1 conduit linking this cabinet to the main lounge we installed a CAT6 cable for HD video from the new Marantz AVR to the television. Once the new cabling was installed we started with the high definition receiver on the back of the television. The CYP high definition receiver has 2way infra-red transmission. 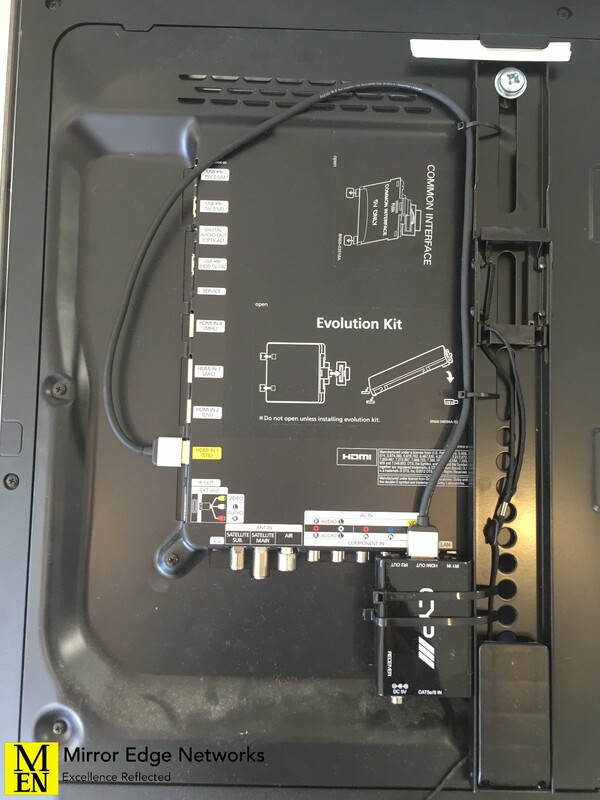 This allows us to install a receiver beneath the television and install IR emitters on the Decoder, DVD player and new Apple TV installed into the equipment cabinet. 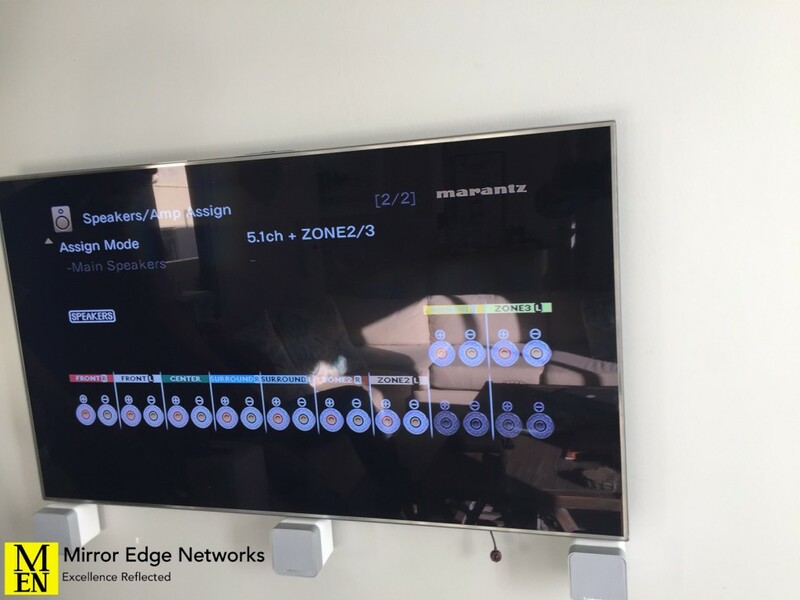 A simple but effective way to be able to control all sources and the volume of the surround sound system where a full control system is not a priority. Next on the installation schedule is the speakers. The surround sound speaker package that our client chose is a Cambridge Audio system, 5 satellite speakers and a subwoofer. Once everything was connected we spent a few minutes tidying up the equipment cabinet. 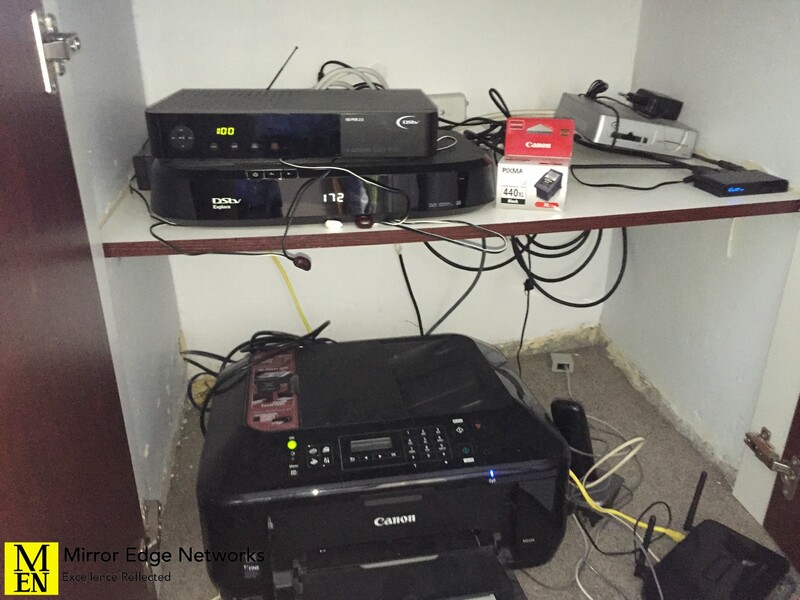 Although it is not perfect with a comprehensive cable management system or power distribution unit our client was happy with what we did for him as it was a great improvement on what was installed previously. 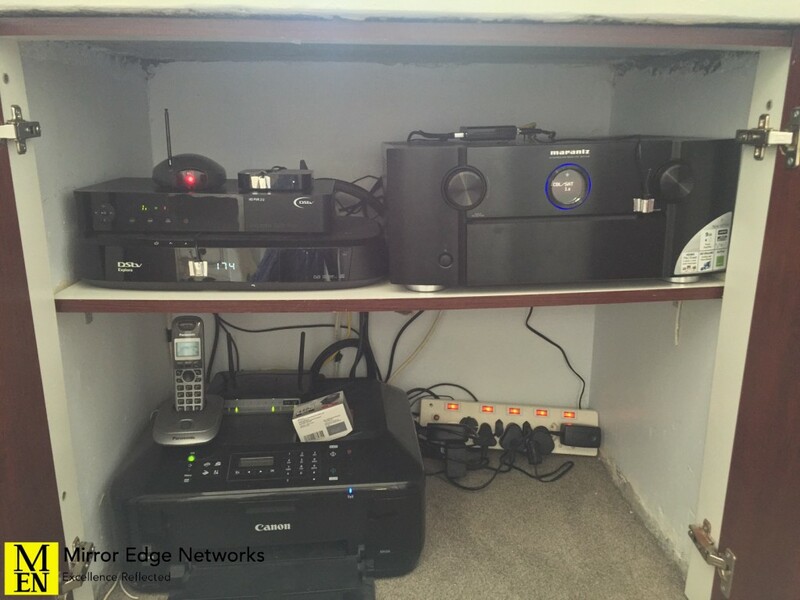 This was a simple two day installation which our client was very happy with once we were finished, even inviting us to visit him at his home in Johannesburg to offer our recommendations on what changes he should make up there. We will certainly reference back here once we do.